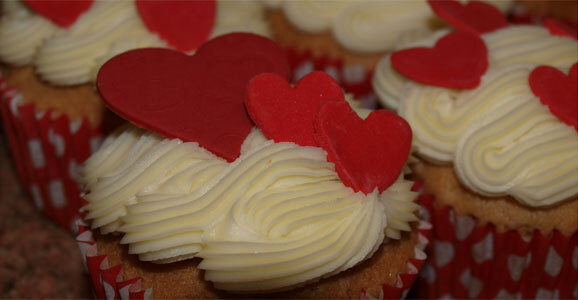 10/10 Cupcake Company is a small business based in the Granby Arcade, Bakewell, Derbyshire. We aim to provide a personal service that is as good as the cupcakes themselves! We offer stunning towers of cupcakes that are tailored to your requirements and never fail to be an amazing display! We cater for Weddings, Christenings, Birthdays, Children’s Birthdays, Graduations and any event that is being celebrated. Our cupcakes are freshly baked on the day of your event using only the finest ingredients, including free range eggs. All of our decorations are handmade and can be colour coordinated with your occasion. We produce a variety of flavours such as, Madagascan Vanilla, Valencia Orange, Sicilian Lemon and Classic Chocolate. We can also provide cakes for people with a gluten intolerance. Why not send a box of cupcakes as a gift? We can offer local delivery for a small charge.